Loretta's food was very pretty good. The temperature of the food was just right. The restaurant was quite clean and the server was friendly. The live bluegrass band was just perfect! Food & service great too! We’ll be back! Thank you! Food is yummy and the service is very friendly and attentive! I was impressed with the uniqueness of the food and drinks. Great nift! I had been to Loretta’s before, but not for brunch and it was delicious and reasonably priced! Live music, even hours before a Fenway game, though it was all the music (recorded and live) was just a bit too loud for my taste. A pretty tight brunch menu - grits were great on my part. The chicken and waffles were the best I've had. Food and drinks good overall. Loretta's Last Call was great! The food was excellent, and the live music was wonderful. I would definitely go back! Great atmosphere, live music, patio seating, delicious food, friendly service. This Southerner gives it a stamp of authenticity. Food was good, tried to mimic a southern brunch! Have never had food at Lorettas before only drinks and it was good! There fried tomatoes were delicious! Fun place with good food. The waitresses were very nice and attentive. Chicken and waffles were well seasoned and delicious! Food & service were great! Would definitely go back! It wasn't at all clear what the nift actually got us -- after (too) much back and forth with the waitress, it became clear that the three platters the coupon was for were not on the menu, she couldn't say what exactly they came with, but they couldn't be changed in any way. It ended up being fine, but took us a long time to figure out what we were getting. Enjoyed the live music and southern cuisine. lovely staff and good food. Great food, the staff was friendly, and the live music was great! Great food, hated that I had to wait forever for my food, but eventually it came and was delicious. Definitely will come back sometime in the near future for dining. Brunch was decent, I think my friends grits/eggs skillet was better than my cornbread benedict. But we had a great bartender and the bloody mary was good. Cute place. Service was awesome and the food was even better! Nice atmosphere, reasonable prices, great service and hospitality. People rated some food as good, while some were a bit disappointed. Overall more positive than negative. It was amazing! Celebrated my birthday and it was great! Awesome store lots of variety! The brunch food at Loretta’s was really flavorful and really generous portions. The wait staff made sure the coffee kept coming, and the manager stopped by to check in which is always nice. PLUS, live music for Sunday brunch!!! Delicious food, great live music, fun atmosphere! We will definitely be back. Loved it! Hasn’t a really delicious Saturday brunch here! As long as you’re not planning to eat a light breakfast, Loretta’s last call is great! We’re excited to have discovered a new food joint nearby and try out the lunch/dinner menu in the future. I loved this place. The decor is cool, I would say "authentic" but I'm from the suburbs and the only "authentic" I know involves tax fraud and Martha Stewart. I got the truck stop breakfast. This is chicken and waffles, lots of home fries, two eggs and toast. The fried chicken was offensively delicious, crispy, juicy, and flavorful. The waffle was as good a waffle as you could ever hope to eat. Dangerously perfect home fries. Eggs of the Lord. All in all, 11/10 would most highly recommend. Love the live music and the ambiance especially. It’s one of the few places in Boston where you can get Sweet Tea, which I love! Went to Loretta's Last Call for Brunch. Food was excellent and it was a great value for the price - huge portions! I will definitely be returning to Loretta's. Awesome service and the food was really good too! Food was great and Kelly our waitress did an excellent job. 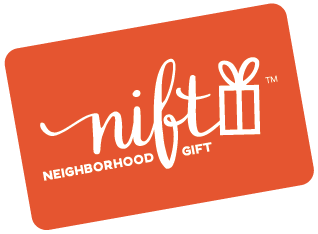 I loved receiving this gift card from Nift, and my experience at Loretta's was amazing. Good food & service. Katherine is a great server. Cozy on a stormy July night! We enjoyed a great brunch at Loretta's! The Lamb BLT was amazing and the cornbread on the Eggs Benedict was also a great option. The restaurant is great and food is great too!!! Great service, food and drinks! First time at lorettas and I can't wait to go back! Excellent drink selection and great food! Love the atmosphere and the service couldn't have been better! The staff was so kind and helpful! Everyone was so nice! Live music was fun, but the music generally was a bit on the loud side (for my taste). The food and service were good. Service from start to finish was great- food was excellent came out quickly (yet we didn't feel rushed). Highly recommended. The gift was great for our group of 6 so may it should be advertised for a group of 10 instead of 10-20. The service was great, the food was delicious and many people in the group said they had wanted to come to this place before so it was a good reason to get them there. We went to Loretta's in April and were able to eat sitting outdoors! The food was delicious and the service staff was friendly and quick. We enjoyed seeing all the album covers on the wall as well as photographs of famous country singers/songwriters. It was such fun to be that close to Fenway Park. We would never have known about or gone to Loretta's if not for Nift. Great food and a lot of fun! the music was great. I've actually seen that band (hot chocolate) before at the Cantab. I got the waffles and they were great but my friend ordered the turkey hash and it was... not hash, and not great. Came here after the Red Sox season opener. Fun crowd, great live music! The chicken and waffles were out of this world!!! Along with the live music! I loved my time there and will definitely be returning again! Really friendly waitstaff and great food! Lively atmosphere for brunch on Sunday. Loved this place, will definitely visit again. Still enjoying the program! Was glad Nift brought me to a little secret Southern spot in the city. Who knew! Great place for southern cuisine, and live entertainment! 5, I enjoyed my brunch at Loretta Last Call, because they serve delicious waffles with strawberries and real bourbon whipped cream, and the plate of breakfast potatoes. service was great and food was even better. Food was good, but wish was healthier. Grits are NOT grits. Chicken and Waffles was great. Music was great, but very loud! Overall a nice brunch experience, but certainly not my favorite. Fantastic....the food was delicious...the atmosphere was awesome...highly recommended...would enjoy returning again in the future....many thanks!!! Very pleasantly surprised! Amazing PB and banana french toast. Friendly service. Live music! The food was delicious and the portions were generous. The service was great and everyone was friendly, but the wait time for food was a little longer than expected especially since the restaurant wasn't at capacity. More than anything, the service was pretty good here at the Loretta's Last Call, seemingly reflecting the Southern hospitality. Because I don't have Southern food often, I can't tell whether this was an excellent food, but at least it was par for sure. The portion was also huge, and the overall atmosphere is awesome for a couple of getaway with Country music. Great food. Staff was friendly and attentive. Would recommend to someone craving some southern-style food. Great chicken and waffles and the staff was very nice. Definitely would go back! A nice experience! Good food, warm atmosphere and a great band! The service was great and the staff was so accommodating for me and my group. The food was good and it was a great atmosphere. Service was fantastic, food was delicious, and the live music was so much fun! Wait staff was great, large portions, very tasty menu selections. Recommend cornbread eggs Benedict.